One of the weird realities of playing online multiplayer games today is that there’s always a possibility your gameplay is being recorded for posterity on somebody else’s stream. How many of your PUBG deaths have been broadcast to the internet? Or how many times have you brought an end to a streamer’s match? A website built on the official PUBG API can answer exactly that. PUBG Report is incredibly straightforward. You put in an in-game nickname, and then you’ll receive a list of kills and deaths caught on stream for that player. You’ll get a readout of details on each entry, including rank at the time of death, the killing weapon, and how far away the killer was. From there, you can click on one of the results and be taken to a properly timestamped Twitch archive where you can watch the kill directly. The only real limitation is that the records only cover the last 14 days – a limitation specific the API itself. The app’s impressive enough that it’s been officially promoted by by PUBG Corp (and noted by Eurogamer), and more features – like support for Mixer streams and console data – are on the way. It’s terrific to see the community make good use of those API features, and hopefully similarly cool applications will keep turning up. 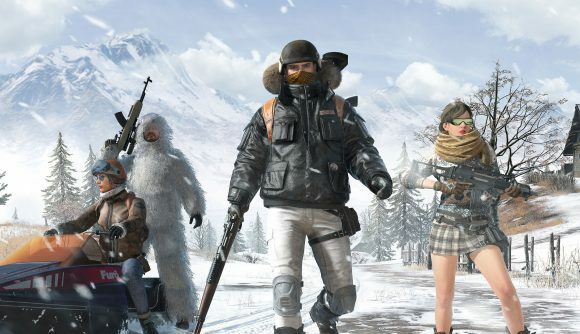 PUBG’s no longer the flavour of the month, but new additions have continued apace, including night mode and new maps like Vikendi. A free-to-play version of PUBG has hit beta in Thailand, so the game’s continuing to make moves in new markets. We’ll see what 2019 holds for the game that spawned the battle royale craze soon enough.